Why Outsource Medical Billing and RCM for Your Ob-Gyn Practice? As an Ob-Gyn, you treat and establish relationships with many different patients with a variety of conditions and healthcare needs. Billing staff must have complete understanding of services rendered and appropriate billing codes and modifiers for a range of procedures, such as routine preventative care, obstetric services including antepartum care, deliveries, and postpartum care, as well as surgical procedures like biopsies. Outsourcing time-consuming medical billing and revenue cycle management processes to an experienced medical practice management partner can help ensure that your time is focused on patient care and satisfaction. 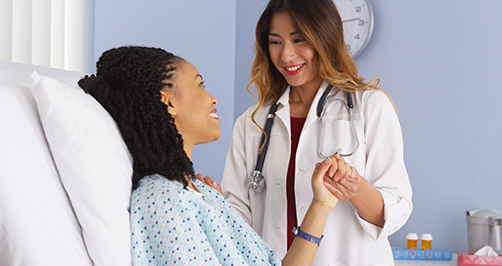 PPM has medical coders on staff who are AAPC-certified in Obstetrics and Gynecology (COBGC™), with many years of experience, so your Ob-Gyn practice can count on us to understand your unique fee schedules and claims. We are dedicated optimizing your revenue cycle management and will ensure that we provide timely and appropriate billing for the services you provide to each patient. "Precision Practice Management supported me very well when I was part of a larger ob-gyn practice. So when I decided to start my own practice, I knew that Precision was the right company to help get me get started. They assisted me in planning for the opening of my practice, helped get my EBM practice management software installed and set up right, they trained my new staff and got my first claims out promptly. They now work all of my billing extremely well, making sure all clearinghouse and carrier denials are addressed promptly—great cash flow and low accounts receivable balances are the result of those efforts. We have a financial meeting every month to go over results and identify opportunities for further improvement. Most recently I converted to Encite Lite and am now saving hundreds of dollars a month in transcription costs that I no longer have to pay for, and I love all of the other clinical features available in the Encite products. Precision is a tremendous business partner to me and to my practice."